Sake’s rising popularity around the globe is undeniable. 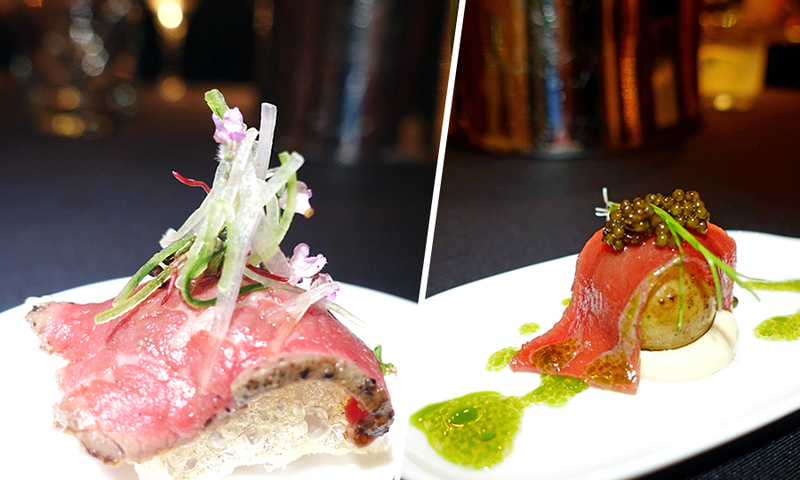 Just in the Lion City, the popping up of sake gastrobars and sake-pairing menus in non-Japanese restaurants are making frequent appearances, thanks in part to companies like Mead, a specialist importer and distributor of craft sake and sochu, quality Japanese produce, seasonal seafood, and wagyu. Mead’s Taste of Japan event hosted at Cut by Wolfgang Puck celebrates the finest sake and sochu from artisan breweries and distilleries in Japan, made by some of the world’s most respected sake masters and sochu distillers. “Sake is commonly served at Japanese restaurants here but is still not widely represented in restaurants that are not Japanese influenced. Drink trends are, to a large extent, cyclical, but sake has never really experienced a top of mind status in the same way as wine, especially outside of Japan,” explains Andre Chalson, Managing Director, Mead. Japanese sake brewers have their own exclusive technique, passed down from generations, dating back to as early as the 1800s, making alcohol fermented from rice, water and mold. Water plays a vital role in defining the character of a sake. Premium sake inevitably boasts pure spring water that starts out as snow on a mountain, then combined with quality rice polished to a fraction of the original grain for its delicate and complex flavours, and special handmade mold exclusive to the brewery — all carefully orchestrated by the master brewer. 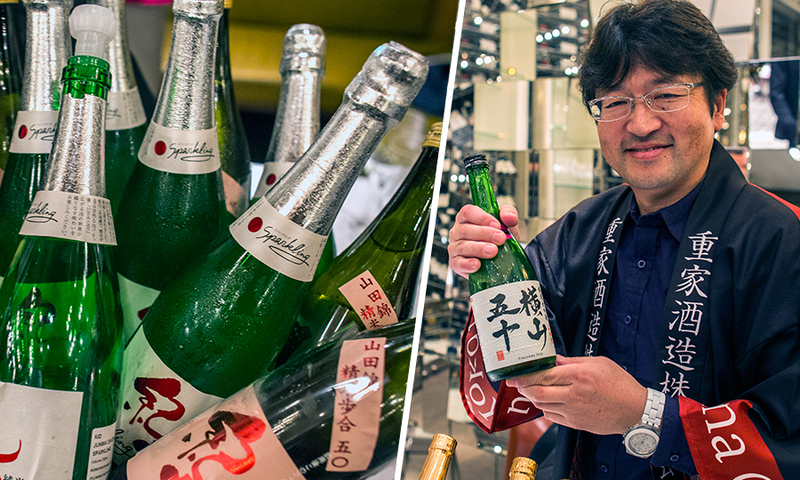 Forty-seventh generation distiller Takeshi Yatsumoto was present to showcase the Tokusen Junmai Daiginjo — a rare limited-edition sake that sees only 3,000 bottles produced each year. The Yasumoto Sake Brewery handcrafts the sake using organic rice and pure spring water sourced 150m directly from the ground below the brewery. An exquisite selection of culinary creations — by renowned chefs such as Joshua Brown of Cut by Wolfgang Puck, Ryan Clift of Tippling Club, and special guest chef, Akira Nakamura of Chisoh Nakamura from Japan — showcased the pairings of different foods with the diverse variety of sake and sochu, prepared with produce and harvests sourced directly from Japan through Mead. 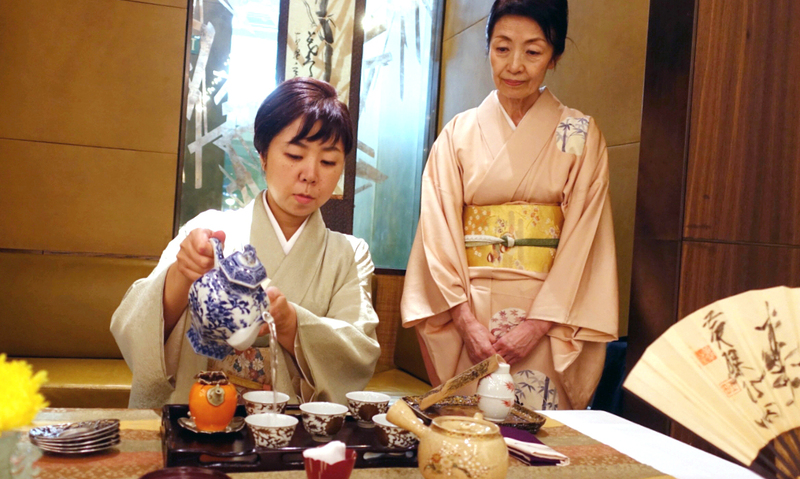 Taste of Japan also featured Sencha-dou, a Japanese customary tea art ceremony, curated by Senchado Hoenryu from Tokyo where guests learnt the art of enjoying Japanese green tea, presented by elegant Kimono-clad hostesses. We were mesmerised by the Gyokuro (玉 露) "jade dew", a premium sencha that’s grown under the shade rather than in the full sun. The green tea was cold-brewed for three minutes: the first pour was amazingly sweet, rich and aromatic, while the second pour was lighter and more refreshing. Gyokuro may be an expensive beverage, but it's certainly an exquisite indulgence. Events like Taste of Japan does wonders to educate consumers and the industry on the complexity of sake — with its engaging palette of aromas and flavours that has been an intrinsic part of Japanese culture — and to attune their palates to the nuances of artisan breweries and their sakes. While we may not see bottles of sakes popping up at hawker centres anytime soon, with consumers’ lifestyle getting more sophisticated and palates more discerning, it's easy to understand the rising demand for artisan and premium sake and sochu. Kanpai!